Jetzt ist sie vorbei, die #marchmeetthemaker Challenge auf Instagram. Und ja, ich habe jeden Tag im März ein Foto und Text zu der vorgegebenen Frage gepostet. “So #marchmeetthemaker asks for “favourite to make” today- so obviously it has to be dolls for me. “Day 4 of #marchmeetthemaker prompts for “tools”. Dollmakers tools: So honestly this is only a small amount of constantly needed and ever changing tools. 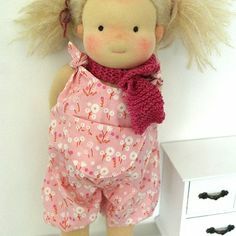 Some are quite obvious like airerasable pen, needles, thread, cutter, scissors, hemostads, iron, and different wool stuffing sticks, etc, – some are custom made like the wooden rod for making doll hair lengths -and some obviously not on this pic like my sewing machine, overlock, hemostads, etc. Day 6 of #marchmeetthemaker: raw materials. 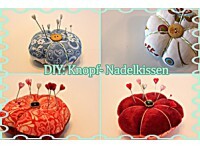 I stuff my dolls with german sheep’s wool and use organic (gots) doll skin fabric. So day 8 of #marchmeetthemaker prompts for “where”!? needle felting a dolls head takes patience and skill- this one is still in the very early stage of emerging a physiognomy from wool with the help of some felting needles… Also my restless mind has plenty different Wip’s on my table- luckily the dolls are patient and sit there waiting to be stichted up and dressed.. phew. some bits and pieces I use packing up the dolls for their journey into a new home and adventure- always a bitter sweet moment to us. Day 12, #marchmeetthemaker is “brand image”: I have hand drawn my brand image. From when it was a girl with doll&flag in the very beginning to today’s logo. Today is day 13 of the #marchmeetthemaker challenge: “photography” – this is the set up I have up permanently in a corner of my doll studio. I love creative people and I love how creativity can be contagious. So it is always good to support each other and stay connected. 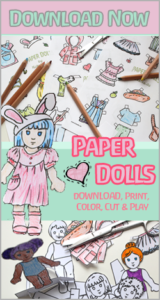 As for the “handmade dolls scene” it is like with all creative artists – we are lonesome losing ourself in our o n world and art, also we are wild and free. ;) so some may get along better than others ..but above all is the respect for each other’s work and the passion for the same craft… we therefore should support each other more selfless in the spirit of friendship. Also I am great believer in Karma so all things you do should be with pure and good intentions. So since today’s #marchmeetthemaker prompt is “work clothes” I already layed out my comfy sweater shirt and jeans…only to come back to sneaky Sima trying on my clothes …sheesh, those nosy dolls! Actually I was about to tell how I like to get ready and dressed in the mornings all set to conquer the day- even though I work from my doll studio at home. Also the wool and threads tend to get everywhere so I like to have regular clothes on when working..
Day 16 of #marchmeetthemaker is “time to relax”: I love spending time relaxing in the garden, sitting in the sun with a cup of coffee in my favorite mug, just watching my little ones play. I love to draw and it helps me sort all the ideas in my head. This is why I have several sketchbooks around. Nevertheless I am always doodling on something nearby like pieces of paper or napkins – I like to draw the idea for a doll and wardrobe down but I also like to capture glimpses of feelings and ideas I get for later reference. So yeah, I think I could not live a day without sketching something..
As a dollmaker I find inspiration in almost everything I come across in my daily life. To name a few; it got to be books – the ones from my own childhood along with the ones my kids do read now. Today’s #marchmeetthemaker is “close up”: there are so many details of dolls I love that deserve a close up. I am a neat freak when it comes to seams. Also I can get lost in all the cute details like dimples and buttons… But I gotta admit I do love freckles. Also since I started making dolls I am kinda obsessed with doll hands. I love my dolls having big hands so they have full grip on the adventures they are about to go on. Also this big doll hands are perfect for Kids to hold on. this is the most recent custom doll I made. 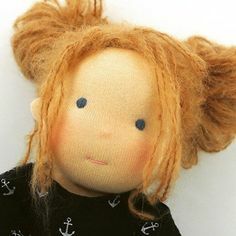 A quirky 45 cm redhead with green eyes and freckles. Day 24 #marchmeetthemaker is “Milestone”: this is a photo from July 2015 – the first anniversary and my first year after having founded my label and blog rosaminze.de in 2014 – so much has happened since then and I’d have to say it’s been a rollercoaster – but I have learnt so much along the way. Never would I want to miss out on all the wonderful and enriching encounters I have had ever since I started my dollmaking journey. And I still have so many milestones professionally but also personally… always learning new things about running a business, learning new skills and balancing creativity and passion with my everyday life as a mom of two. I hope to continue reaching new milestones every day – and acknowledging not only the big ones but being greatful for the small ones as well. #marchmeetthemaker day 25: “packaging”. The packaging is so unique as is each doll. I like to wrap them up like presents to a dear friend when sending off a doll in a new home. Also I like to include some handwritten sentences and often a special drawing of some kinds. I guess since I love getting special mail, putting in some effort, I like it to be a nice experience to others too. My belated answer to #marchmeetthemaker day 26:”why I do this” is the answer to most questions in life: for the love. It’s that simple. And it should be. 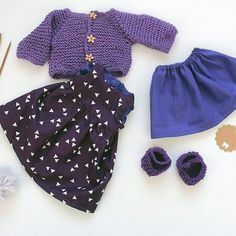 The love I have for dolls, a love I want to share, seeing the love the child has for a beloved doll as a companion and friend, the love for what I do and being able to bring more love into a sometimes dark place the world can be. Just sharing the love by simply doing what I love and I can not help it. Also the urge to create and share is inevitable within. On today’s #marchmeetthemaker it’s all about “goals”: there are many little ones I do hope to achieve along the way on this adventure I chose to follow called dollmaking… but above all is one big goal with two simple words “be happy”! 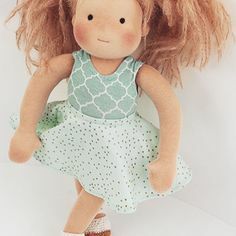 Having been in some pretty dark places in my life I sadly do know the downside of life and how hard it can be to pull yourself out and up again… so I promised myself I will never be trapped in this gloomy dark state of mind again- one way to do so is my happy place called dollmaking ????. Being a child at heart, always believing in the power of good and that light will win over darkness in the end has helped a lot. And I do surround myself with constant reminder to simply “be happy” with what and where you are right now. Day 28 of #marchmeetthemaker is “organised”: I l.o.v.e. making lists, so it’s obvious I love organizing and planning. I do use my @websterspages planner the second year now. Although this year I have filled in the calendar pages by @ellaonthego. I like to color code and time block so this is quite handy. Also I use my computer and iPhone for various reminders and to shedule my dollmaking work hours along the kids appointments, too. Oh and I like making lists on my iPhone on the go. 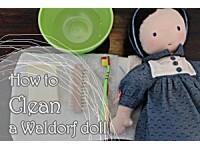 For example one with cute dolls names when I am out and about and don’t have pen and paper on me. Because my planner sits pretty stationary on my worktable and is not with me all the time, I unfortunately tend to scribble notes on little papers all over the place. but thinking about it …this also can be applied to life in general. Today is already the last day of #Marchmeetthemaker and it’s been amazing! 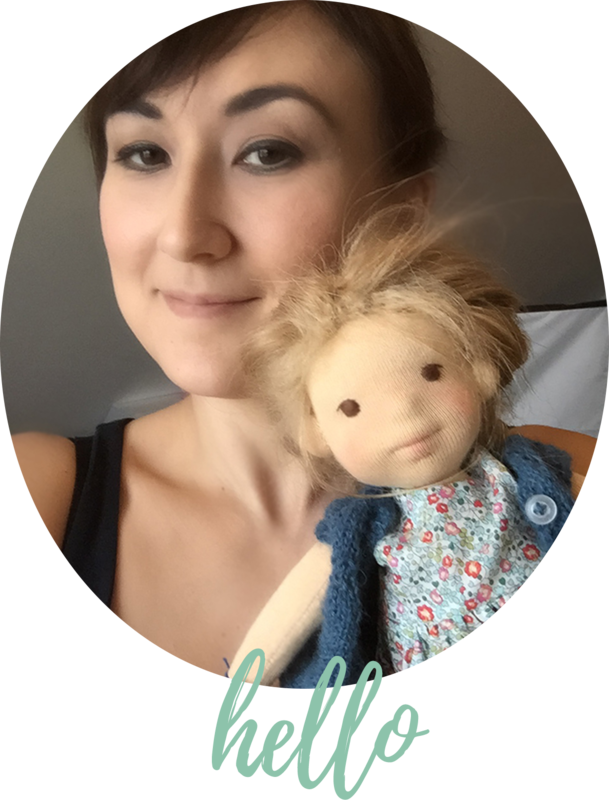 I hope you enjoyed the little behind the scenes of my #smallbusiness as well and have learnt a bit more about my dolls and me. I could not be more grateful for you all! Thank you for always supporting me and all the nice and encouraging words…it really does mean the world. An artist soul always struggling with self doubts I would be nothing without my customers and supporters (also I would probably drown in dolls by now), who do share the love for handmade dolls. I do treasure every kind word they share.